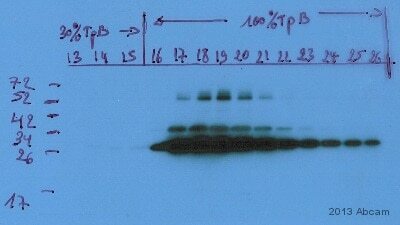 Synthetic peptide: HHHHHH conjugated to KLH. 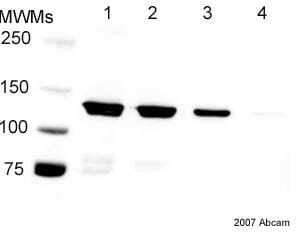 E. coli Positive Control (Escherichia coli ) Whole Cell Lysate - expressing 6X His tag protein (ab2431) can be used as a positive control in WB. 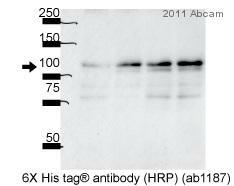 Antibodies were immunoaffinity purified using the peptide conjugated to a solid-phase support and conjugated to horseradish peroxidase. Our Abpromise guarantee covers the use of ab1187 in the following tested applications. 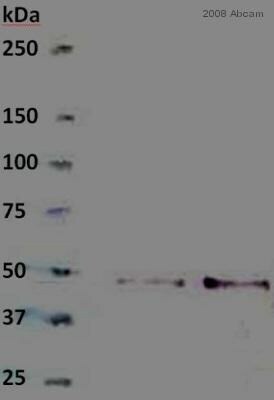 Can this antibody be stored at -20C? Thank you for calling Abcam earlier. 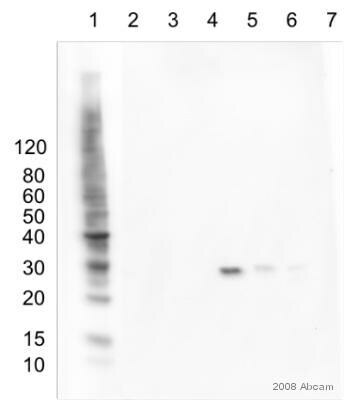 After having spoken to the lab, I would advise you not to store ab1187 at at -20C as it will cause the product to lose some functionality due to the HRP conjugation.